The Fourth Kind, or alien abduction, is considered to be part of the scale of measurement when it comes to alien encounters. Many individuals throughout history have stated that they have personally experienced an alien abduction or UFO abduction. This means that they have memories, though subjective in nature, of being taken in a secret manner or in a manner against their will by life forms that are not considered to be human. Furthermore, it indicates that they may have been subjected to physical and/or psychological procedures that were relatively complex and potentially uncomfortable. In this guide, you will be introduced to the scale of measurement that is typically used to describe encounters with aliens with a specific focus on The Fourth Kind. The First Kind as it is related to UFO phenomenon is the actual sighting of a UFO or life forms that are believed to be directly related to UFOs. Typically, millions of individuals will experience this type of experience. There are some that will identify what appears to be a flying object that is not one that is typically known to this world. They may witness this phenomenon simply flying in the sky, or may even be a witness to a UFO that has actually landed. The possibility for seeing a UFO in flight is typically much higher than seeing a UFO that has actually landed. Then, there are those that will actually come nearly face to face with an alien life form. The Second Kind as far as the measurement scale for UFO encounters is evidence. Individuals that have an alien encounters in which they acquire evidence such as pictures, objects from the life form, or even videos are said to have experienced The Second Kind. While this is considered to be a rare event among the population as a whole, many individuals in the world have claimed to have acquired evidence of an alien encounter. Making actual contact with an extraterrestrial being is considered The Third Kind when it comes to measurements involving alien encounters. The individual that experiences this may communicate directly with the beings, or the beings may actually communicate with them. While not as frightening as The Fourth Kind, the people that experience this level of personalization with a being that is not human or known through science often describes it as a highly frightening experience. The Fourth Kind of alien encounter is an actual alien abduction. 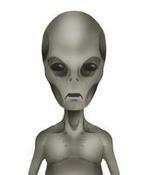 Just like a real abduction, individuals that are taken by aliens are taken against their will. In most cases, the people are eventually returned - but are often reported as having physical and psychological issues once returned. Based on various case studies and surveys, it has been established that up to 6% of the population of the world may have been abducted by an alien or group of extraterrestrial beings. In order for it to be validated that an individual experienced The Fourth Kind they must have been taken against their own will from the surroundings that they consider the norm and by living forms that are not identified as "Human". When a person experiences The Fourth Kind they are typically subjected to some type of examination. They also communicate with the alien life forms in a manner that is verbal and in some cases, telepathic. Many who claim to have experienced UFO abduction have stated that when they communicated with the life forms it was both verbal and telepathic. Individuals that actually experience this may remember events consciously. However, there are some cases in which events are recalled through dreams, flashbacks, and even through psychological hypnosis.